Here at Acqua Aveda Salon, Spa, & Store we know how important taking care of your skin, hair, and nails is. We also know how important it is to be eco-friendly. Fortunately, since we specialize in all-natural, environmentally friendly spa and salon treatments, we know many tips and tricks on how to stay looking vibrant without harming the environment. With our efforts to respect and preserve our earth, here are the top five tips for staying radiant while being environmentally friendly. 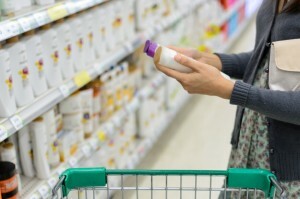 It’s ok to be that person sitting in the middle of an aisle, reading the labels on your beauty product(s). From bigger products like shampoo and body lotions, to smaller items like chap sticks, products can often contain chemicals or orther harmful ingredients. Things like parabens and phthalates can be very toxic to your body and the environment. The more natural the ingredients are, the better it will be for you and your skin in the future. Did you know that shampoo and conditioner bottles, toothpaste boxes and other product containers you find throughout your bathroom can be recycled? Be sure to recycle what you can, when you can. Many make up companies will gladly take packaging back to be recycled as well. It never hurts to ask! Furthermore, when choosing your make up tools, try using brushes that have been crafted from sustainable materials and have synthetic bristles. Not only do these types of bristles blend better, but they are less likely to become damaged by products you use and are a whole lot easier to keep clean. Showerheads typically release 25 liters of water per minute, so taking shorter showers can help conserve a great amount of water. Another way to conserver water would be to take full body showers less frequently if possible. Utilizing an all-natural dry shampoo can help with keeping your hair clean without having to use water. Minimizing the number of times you blow-dry your hair can also help conserve electricity, which can not only be beneficial for the environment, but can also help protect your locks from damage and breakage due to overuse of such tools! You don’t need expensive, chemically filled oils to enhance your hair or skin. Did you know that jojoba oil can tame unruly curls and frizzy hair? Simply massage a few drops into your wet hair, put a shower cap on and let it sit for 30 minutes. Shampoo twice, rinse out and that’s it! You don’t even need to use conditioner! Facial oil is also a great alternate to traditional facial moisturizers. All-natural facial oils do not contain extra chemicals that can be harmful for your face and the earth (sensitive or regular). The oils penetrate your layers of derma, which can leave your skin feeling smooth and not greasy. Other natural moisturizers include argon oil, maracuja oil and any other plant oil. Our number one tip on how to stay beautiful longer while remaining eco-friendly is to go organic. From chap stick all the way to the shampoo you use, and everything in between. All natural products still give the same benefits without leaving a harmful-foot print on our environment. Contact Acqua Aveda today to get eco-friendly salon and spa treatments on Anna Maria Island, Holmes Beach, and Bradenton Beach, FL. From all-natural waxing and skin care to other body treatments, we have the eco-friendly salon and spa treatment for you. You can enhance your appearance without harming Mother Earth. Join us today!